Less than two months ago, Creole/Cajun food was given a Vietnamese twist in Atlanta. Bon Ton does what few “New-Orleans-style” restaurants do: they serve seafood that just tastes great. Co-owner Darren Carr, originally from London, owes the Vietnamese flair to his world travels. He also owned the previous restaurant in the same location across from Mary Mac’s, but he decided it was time for a change after 10 years. With co-owner Erik Simpkins, Carr partnered with Hieu Pham, an interior-designer-turned-chef who brought the similar concept Crawfish Shack to Buford Highway. Pham, whose parents are both half-Vietnamese, wanted ready-to-order seafood that was simple and “just taste[d] great.” He said that blending New Orleans and Vietnamese cooking is not much of a stretch. Because of the French occupation of Vietnam and the Big Easy’s French history, the two cooking styles are rather similar. Pham chose New Orleans seafood rather than another style because there are more ingredients to play with that have a “heat and boldness in flavor.” Additionally, he has been cooking low-country boils since he was 14, a staple of NOLA family gatherings during crawfish season. 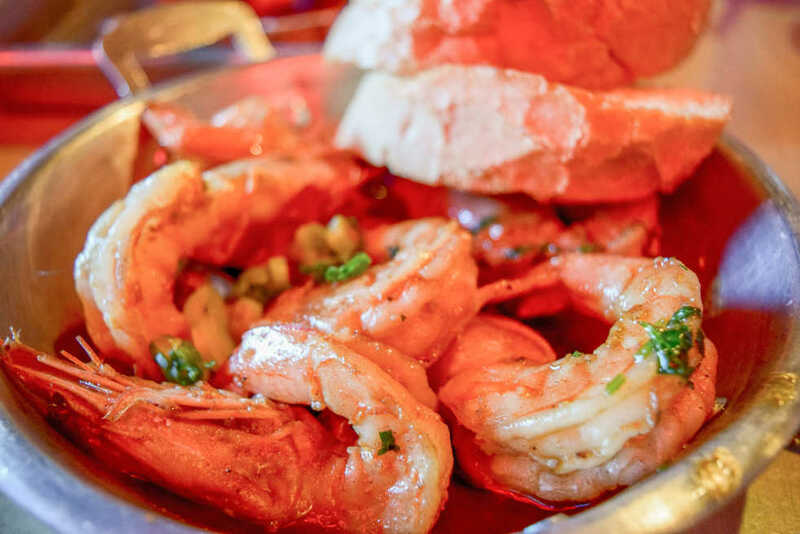 Sourcing oysters, andouille and bread from Louisiana, crawfish and blue crab from Biloxi, and shrimp from Mexico (sweeter than shrimp from the Atlantic), the restaurant sources from multiple suppliers to bring in the freshest possible shellfish. The Vietnamese twist on classic New Orleans dishes comes in several flavors: fish sauce, chili powder over cayenne pepper, five-spice, lemongrass, kaffir lime leaf and orange. It is a subtle twist, though, never dominating. Many of the Asian ingredients are part of the “boil,” which is a blend of flavors that is added to many of the dishes. Spices in the breading of the fried oysters add some heat to the Nashville hot oyster roll. Despite Atlanta not being a coastal city, somehow the oysters are wonderfully fresh, and the spice on the charbroiled oysters is just right. Even cheap, boring mussels are given new life following their boiled deaths with a dusting of flavor. The saucy smoked gouda mac and cheese has bits of crawfish and is appropriately spiced. The gumbo is made correctly, with a roux and the holy trinity (and no kale or quinoa); the twist is that it is topped with the boil and fried shallots. The BBQ shrimp, one of the most popular items, has five-spice in the broth. This successful combination of a New Orleans staple with east Asian flavors could convert seafood-haters into repeat customers. Bon Ton is not a New Orleans/Vietnamese fusion in the same way that Chico and Chang’s “East Meets West” is two disparate foods brought together in an unholy union. However, at Bon Ton, the two cuisines make sense together. Pham ensures that the menu items are coherent by consulting with executive chef Matt Floyd and sous chef Eric Brown. Bar manager Tyler Blackgrave complements the food offerings with a well-rounded drink menu. In addition to classics — Sazeracs, French 75s and Old Fashioneds — Bon Ton serves up “riffed” versions of the Hurricane, Mai Tai and other custom creations. Their fruit liqueur is homemade, and they offer cold drinks in cups that change colors. In New Orleans fashion, the bar had a lively and vintage feel. The unique concept is “intentional, fun and quirky,” according to Carr. There is a “Fancy Service” sign that has origins in a made-up story about a brothel being bought out by a Vietnamese immigrant restaurateur. Created by people who had never designed a restaurant before, the decor benefits from fresh perspectives. In addition to the atypical marketing move of storefront advertising, their Instagram feed (@bontonatlanta) is filled with quirky, funny videos — almost commercials — with gaudy aberrations and flying text. Not at all unique to Midtown, there is minimal parking at the restaurant. Customers enjoyed both the jokes and the food. As is said in the Big Easy, laissez le bon temps rouler. Or maybe it is laissez le Bon Ton rouler.